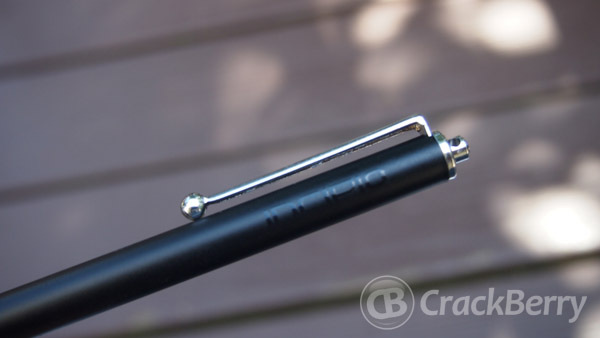 "A great stylus offering advanced control for an entry level price"
"While coming in at a low price point, the Incipio Inscribe is a great value with great control." Don't break the bank to replace your finger, let the Incipio Inscribe help navigate, note take and draw images for you now. From drawing games to taking notes, your finger is not always the best way to utilize the touch screen of your BlackBerry PlayBook. Stylus pens have been growing in popularity lately, with more drawing applications coming to AppWorld. A stylus gives you the ability to easily take notes while on the go without a note pad; the convenience is a huge plus for many. Unfortunately, there are a ton of options currently in the stylus market. They vary in price and it is nearly impossible to know which one is the right one for you. Let's hit the break and take a deeper look at the Incipio Inscribe stylus, one of the less expensive units that is currently available. Think back to the first time you held a fine pen in your hands - not a BIC or a PaperMate pen - but something really fine; think Montblanc, or Waterman. Remember how you picked it up - ever so carefully; how you felt the weight and balance of the instrument. Think about how the ink flowed from the nib onto the paper. 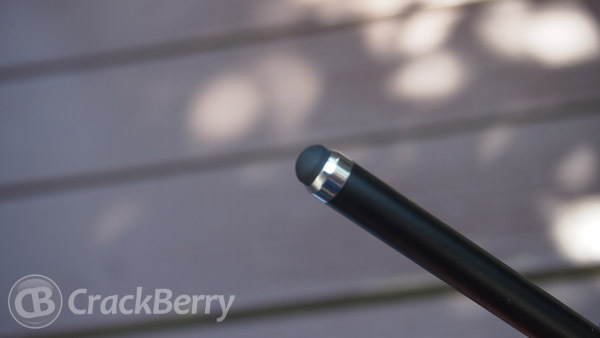 A quality pen helps your writing; a quality stylus helps your app experience. Odds are by now you have a favorite pen, and a least favorite pen, you know the one you pick up and put right back down because of the discomfort. Since a stylus serves the same basic function as a pen, the same principles apply to this as well, and comfort is everything. The Incipio Inscribe stylus has a single piece design, no twist mechanism, no cap, just a straight forward one piece with a fixed tip. 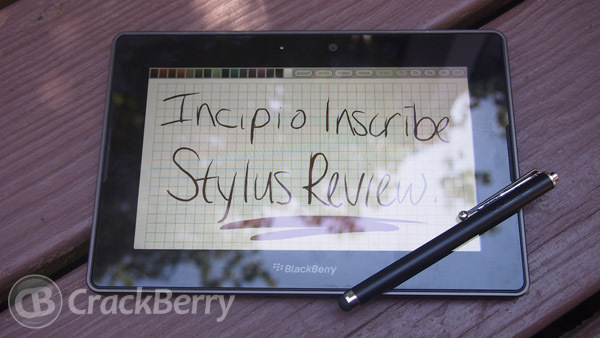 The Incipio Inscribe stylus feels very similar to a Bic pen when in the hand, and that isn't always such a bad thing. While not too thick, it is also not too thin, and it is covered in a slick almost rubber like coating that allows for a nice grip of the stylus. Unfortunately due to the single piece construction, the bulk of the weight sits at the bottom, towards the tip. This isn't a huge deal for those who hold it near the bottom, but if you hold towards the top you may find the writing to be a bit difficult due to the weight. One saying I have always taken into consideration when making a purchase is "you get what you pay for" and I couldn't help but to think it was going to be the same for the Incipio Inscribe. Coming in at the lowest price point for a stylus pen, I would have to say it carries almost the best design that I have seen so far. The nice flat black finish on the device is well accented by the fact that they have used black lettering for their Incipio logo as well, and the rest of the stylus is empty. At the top and bottom you have small silver accents, but they help provide such a nice look overall. At the top there is not only a clip for placing this in your pocket but there is also a hole which you could use to place this on a keychain to keep it with you on the go. One thing about the design that I do not care for is the lack of protection for the tip, there is no cover, and the tip does not drop below the surfact, so it is almost always vulerable to being damaged. Depending if you will be traveling around a lot with this it is definitely something to take into consideration. We can talk style and comfort all day long, but that only matters as much as the nib, or tip, of the stylus does. You could have the most comfortable, best feeling stylus in your hands, but if that tip is not responsive, and doesn't perform well then you will be quite disappointed. Looking at the tip of a stylus and knowing how well it will perform is nearly impossible. The tip on the Inscribe is not the smallest, nor the largest of tips, and unlike the Kuel H12 there is no smaller firm tip on the inside. Though you would think that because of the size of the tip it would be hard to use with precision, but instead it was quite the opposite. The smooth plastic tip slides across the screen with ease, allowing handwriting, drawing or anything else to be completed without any hesitation or breaks in the lines. Featuring an omni-directional tip it won't matter much how you are holding the stylus in your hands, you should be able to achieve the same results. We know the issues I face being lefty, while my handwriting has always been nice, it has been a pain to get the writing on the pages without it smearing. When writing I tend to angle the paper, and hold the pen at an angle as well, which depending on the pen, can provide some issues for myself. Depending on your writing style, your results may vary, but my lines are pretty fluent, and many letters stay connected and I combine standard with cursive, and no matter how I wrote, the Inscribe kept right up with me. I am no artist, but sometimes it is fun to pretend. 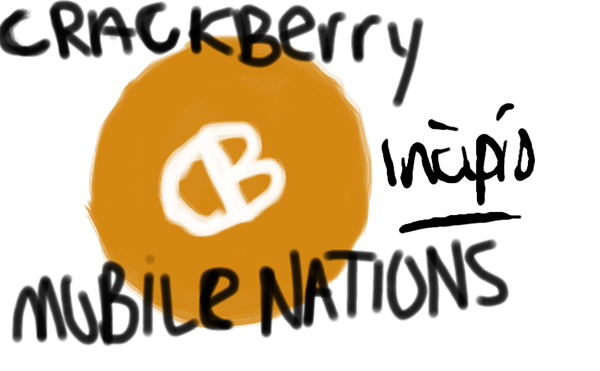 With various drawing applications available for the BlackBerry PlayBook, it is fun to pass some time by drawing something random, or playing some Sketch with Friends, but with my fingertip it just lacked most of the fun. Having tested a few stylus, I noticed that ones that were good at writing weren't as great for drawing, but I have found a happy medium with the Incipio Inscribe. While not perfect, the overall experience is a good one, and depending on what you are looking to draw, it can be done pretty easily with this stylus. Fine details, and shading are of course hard to create, but then again you are drawing on a tablet, and you can't expect for it to be overy easy. If you are looking to play a couple of games of Sketch with Friends, or sit down and entertain your children with a drawing game, this is money well spent. While not perfect, the Incipio Inscribe definitely ranks as one of the best values out there. Coming in at only $14.99 normal price, the stylus you receive is worth more than that. 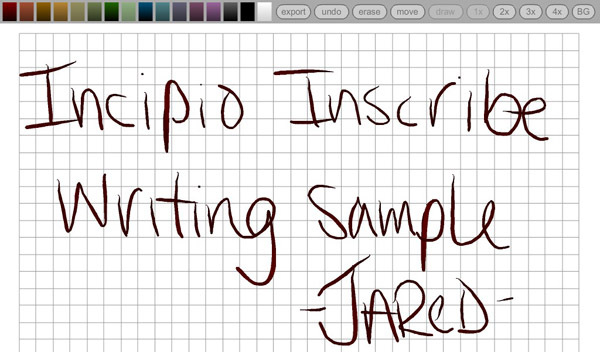 Combining great writing abilities, along with a decent drawing experience, the Incipio Inscribe packs a great punch. The overall design of the stylus is great with the exception of the lack of protection for the tip, but if you are careful with it that should be no problem at all. The Inscribe stylus offers a solid one piece design that is both stylish andcomfortable in the hand.Whether using for two minutes or for a whole meeting you are sure to enjoy. Unfortunately the tip of the Inscribe is vulnerable during travel, it does not drop below the surface with a twist mechanism, and there is no cap. Also, the weight sits low, so if you want to hold at the top it is harder to control. If you are on the fence about adding or using a stylus on a daily basis this is a great starting point. Combining an affordable price tag with a great tip, and solid design it is sure to please. "A lightweight on the go option, with a very easy price point." "Wacom takes their amazing brand and style and puts it into a stylus form"